The Bizness Training Centre is a social enterprise organisation that provides world class training for individuals and corporations to enable them to improve their business and personal performance. We work with organisations to produce measurable business results and reach the next level of growth and performance. We transform peoples’ lives through training and career development. This is done through public courses, seminars, workshops, in-house customised training, business consultancy advice, online tutorial support and one-to-one coaching. Our courses are designed to upskill and increase management, business and financial awareness among non-specialists as well as practitioners. We offer customised training programmes and continuous development based in both the UK and abroad. All our courses can be customised to suit the needs of our clients. We also provide consultancy on various finance and management service areas, and through this our students can gain valuable work experience. We partner with leading recruitment agencies, accountancy firms and businesses to provide valuable work placements where our students can gain practical experience of the subjects they are studying. At Bizness Training Centre, in addition to having small classes we use a variety of teaching methods to ensure that the knowledge gained is retained. We use a student centred approach to learning. We use as far as possible real life examples and case studies so that the student can understand the practical implementation of what they are learning. We draw on the students experiences from their work and life. Rather than teacher lead lectures we use a coaching and facilitation approach involving group discussions and exercises. We also have regular testing and practice exercises to ensure the knowledge is embedded before moving to the next topic. To develop the potential of every individual so that they can make a positive impact on their work environment and their society. Through our training we aim to shift mindsets and instil both the competence and the core values required to empower people to excel. 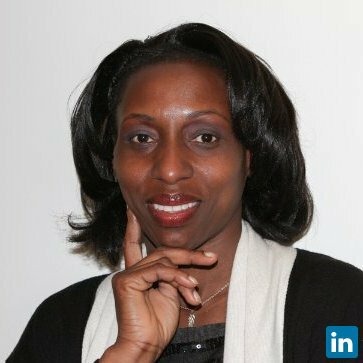 Nnenna is Course Director and has been teaching for over five years. Subjects taught include areas of ACCA F1, F4 and F5, Bookkeeping and SAGE Computerised Accounts. Shahzad has over six years experience teaching ACCA in various A-rated Colleges and Universities such as University of East Anglia. He is dynamic having gone through the ACCA exam processes and thus has the knowledge to embed students with the comprehension to pass their exams first time. He teaches ACCA papers F2, F6, F7 and P2. He specialises in Taxation where his students consistently achieve a 100% pass mark. Tahir has been teaching ACCA since 2008. He started his career at Skans School of Accounting then moved onto London College of Accounting. Prior to his teaching career he was a Risk Analyst as well as a personal, and corporate investment consultant. He has a combined strategic view with strong modelling and analytical / accounting skills. His primary subjects are F3, F8, F9, and P3.